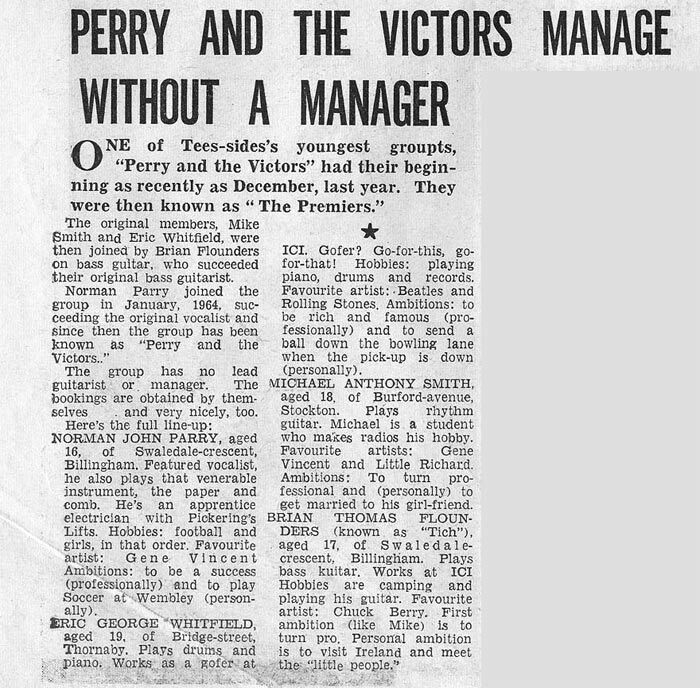 Got a pleasant surprise seeing the old Evening Gazette press cutting of "Perry and the Victors" that was taken by the Gazette photographer prior to the competition they were sponsoring in 1964.. It brought back a many memories of the good times we had in the 60's. 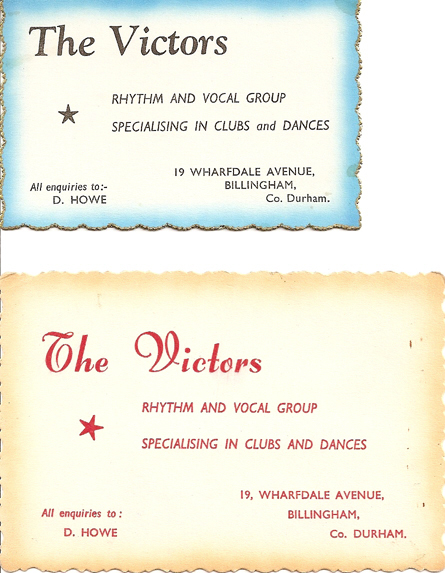 I thought you might like to include a poster and a couple of business cards on the page for our group on your website. These are sent as attachments to this email. 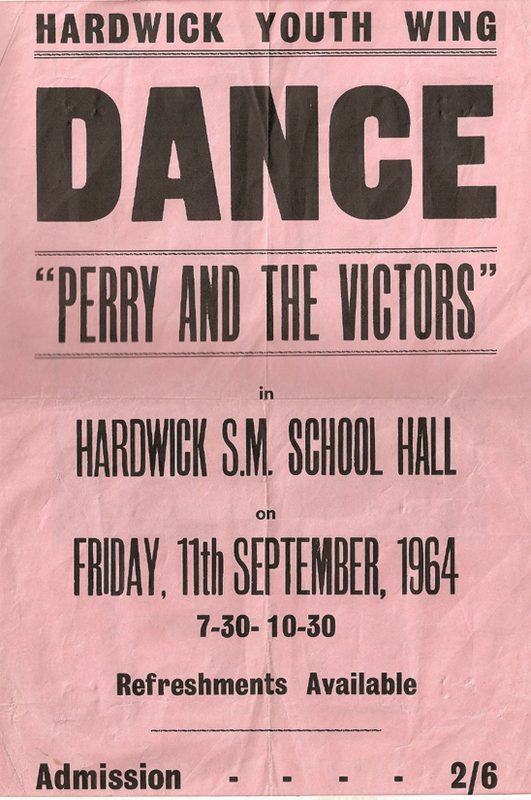 I was the drummer with the band and the lineup changed over the years and we eventually dropped the "Perry" , becoming "The Victors". 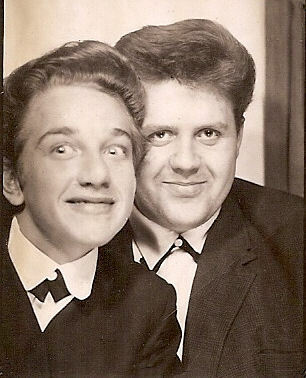 This picture was taken in 1964 at one of those small photo-booths. 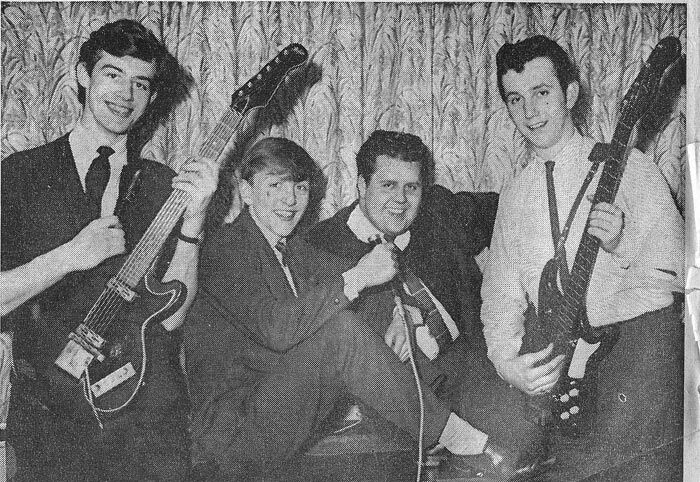 It was during the interval of one of our gigs at the Rainbow Coffee Bar in Seaton Carew. The surprised expression on Billy Cockerill's face is due to the fact that I was pulling on the back of his hair to stop him blocking my view of the camera.